Cosmetic issues with patients’ teeth are an important consideration with any procedure performed at John L. Aurelia, DDS, PLLC, in Rochester Hills. There are basic components of a stunning smile. Just like some of the world’s most attractive faces through history have been symmetrical, the symmetry of your teeth is a coveted characteristic. Uneven spacing detracts from the uniformity of your smile, and chips can make a tooth on one side of the face appear bigger or smaller than its counterpart on the other side. 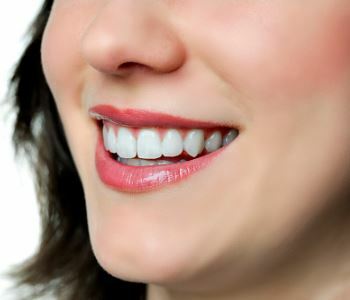 Your Rochester Hills dentist can help you achieve a more even and symmetrical smile with porcelain veneers that look like natural teeth with their luster and translucence, or with cosmetically-pleasing, comfortable alternatives to traditional braces such as Invisalign. Yellowed or otherwise stained and discolored teeth detract from the youthful color you had before the cumulative effects of coffee, smoking, or other habits altered the shade of your smile. Powerful, yet safe, professional whitening lifts stains, and can be applied from the convenience of the Rochester office or from the comfort of your own home. Versatile veneers or porcelain crowns may be used to cover very dark stains or stubborn discoloration caused by trauma, excessive use of fluoride, or some types of antibiotics. Tooth-colored fillings, crowns, and conservative alternatives to crowns such as inlays and onlays can beautifully restore damaged teeth. Damage such as cavities, for example, takes away from the beauty and the health of your smile because these holes look like dark pits and fissures on your teeth. Arguably, no procedure has quite as much power as natural-looking tooth replacement options. Dental-implant supported crowns, bridges, and dentures can transform your looks, quality of life, and confidence. Call (248) 651-6810 to find out how these and other procedures, alone or in combination, can improve your smile.